Learn about the moon and other night-sky objects at "Moonstruck: A Star Party!" 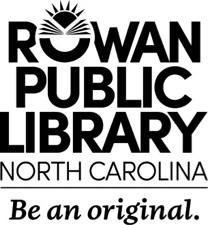 Rowan Public Library's South Rowan Regional branch invites people of all ages to this special, after-hours sky-watching event on Friday, April 12, from 6 pm to 9 pm. In collaboration with Horizons Unlimited Planetarium and Science Center, the star party will also include STEAM activities, face-painting, and more. Horizons staff will lead the outdoor sky-watching. In the case of inclement weather, the outdoor activities will move inside for an online exploration of the evening sky.